This page shows all the pages and links on this site. It also contains a very brief and truncated summary of each page. The contents of this page are listed in numerical and then alphabetical order. Please feel free to contact us if you find any broken links or have any questions about this project. Contact us. In 2010 the City of Charles Sturt hosted a presentation during History week. Madeleine Regan, Frankie Ballestsrin and Bruno Piovesan gave a presentation about the market gardens on Frogmore Road in the Findon Library. James Ballantyne was born in Scotland 4 March 1888. He finished his apprenticeship as a gardener and migrated to Australia before World War I.
Ballestrin brothers, Antonio, 25, Isidoro, 23 years and first cousin, Giuseppe, aged 16, arrived in Adelaide on 20 September 1927 per ‘Regina d’Italia’. The Berno family came from Riese in the Province of Treviso. Between 1925 -1927, three brothers arrived in Adelaide: Fedele, Alberto and Pietro. A cousin, Gino arrived with Pietro. Leandro Bortoletto, born 2 March 1927, at Ponzano Veneto in the Province of Treviso, arrived in Adelaide in 1950. Fortunato Fazzalari, born 1913 in Caulonia, Reggio Calabria, arrived in Australia in 1932. His wife, Francesca Cosenza, born 1922, arrived as a 13 year old in 1933. Angelo Innocente, born 26 November, 1921 in Caselle, Province of Treviso, arrived in Adelaide in June 1950. His uncle, Pietro Compostella, who had arrived in 1938, sponsored him. The information for these pages was gathered from families in Italy. Francesco, born 1901 and Margherita nee Marchioro, born 1905 were both born in Malo, Province of Vicenza in the Veneto region. They arrived with their daughter, Maria aged one year, on 3 March 1926 per ‘Regina d’Italia’. Vittorio, born 23 December 1906, was 21 years old when he arrived in Adelaide per ‘Orama’ on 17 December 1927. 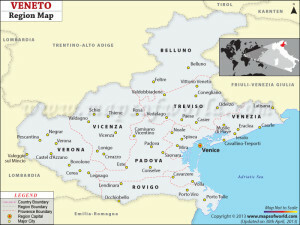 He came from Malo in the Province of Vicenza in the Veneto Region. Armida Mattiazzo nee Biasetto, born 20 October 1928 in Ponzano Veneto, Province of Treviso, arrived in Australia in 1952. She married her fiancée, Augusto Mattiazzo in Melbourne five days after she arrived. Oscar was born on 15 December 1923 in Bigolino, Province of Treviso. His father, Angelo, had borrowed money to emigrate, and arrived in Adelaide in 1927. Angelo, born 4 December 1905, in Ponzano Veneto in the Province of Treviso arrived on 27 August 1927 per ‘Citta’ di Genova’. Brunone, born 23 October 1893 in Bigolino, Province of Treviso, arrived on 25 July 1927 per ‘Carignano’. Relatives – people interviewed who were related to the pioneer market gardeners including siblings, cousins or who married into the families. Eight of the nine children of Elena and Modesto Rossetto from Bigolino, Province of Treviso emigrated to Australia. Giovanni Luigi Santin, born 7 November 1886 in Caselle, Province of Treviso, arrived in Adelaide on 27 August 1927 per 'Citta di Genova'. Secondo, born in 1893 in Caselle d’Altivole, Province of Treviso, arrived in Adelaide on 27 August 1927 on the ‘Citta’ di Genova’. Domenico, born 1903, arrived 1 September 1927 per ‘Citta di Genova’. He had married Concetta in Italy before migrating to Australia. Eugenio, born on 18th February 1905 in Castelcucco, Province of Treviso, arrived in Adelaide on 18 April 1927 per ‘Regina d’Italia’.